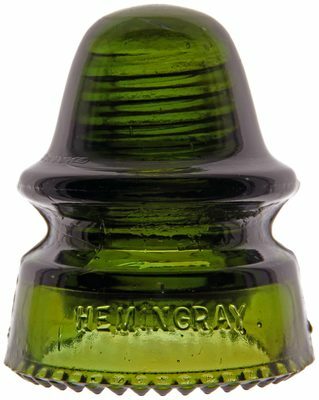 Lot 113: CD 162 HEMINGRAY // No 19 Color: Rich Olive Green Description: Easily grades very near mint. Drips are perfect; a group of three in the rear have factory open bubbles. The insulator passes light easily to show off this rich color!